You may be wondering how a web designer can take a standard WordPress installation and create a custom look and feel for your site. The answer is themes. A WordPress theme is a collection of files and images that controls all the visual elements of your website – the layout of page elements, the colors and fonts, the placement of logos and the use of elements like slideshows and galleries. But, what are the parts of a theme? How are they created? 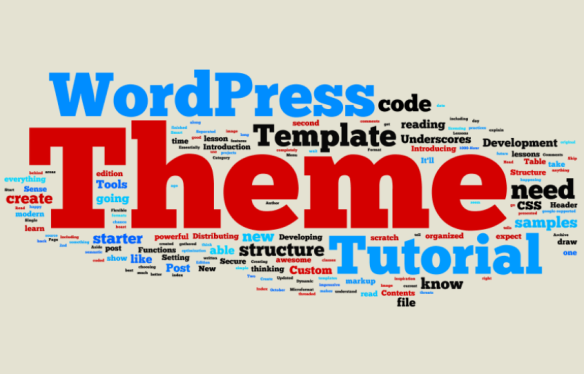 I recently came across an excellent tutorial that shows you how to develop a WordPress theme from scratch. This tutorial is presented by Automattic – the people who brought us WordPress. So this is an authoritative voice when it comes to theme development. When I develop WordPress themes for my clients, I follow a process very similar to that described here. This tutorial was published in October 2012. It is based on the release of the new starter theme called _s. The techniques taught here are based on best practices in theme development.